Highly reliable and high-speed flame detector capable of detecting fires within 20msec for hydrocarbon, hydrogen, and hydroxyl fires. 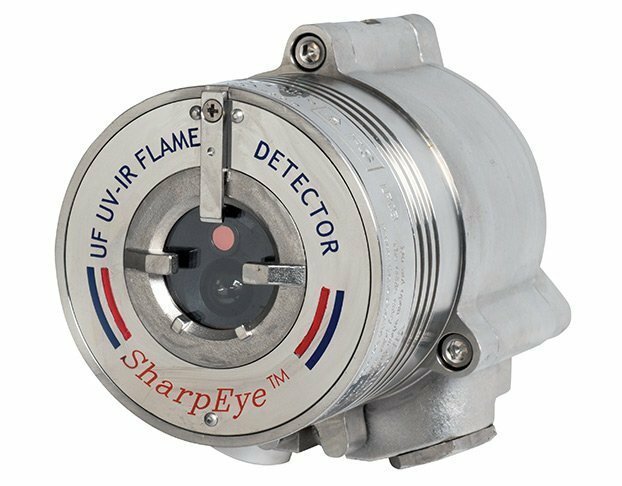 SharpEye™ Ultra-Fast UV/IR combined explosion and high-sensitivity flame detector with built-in test. "Protectowire Linear Heat Detectors provide a rugged and versatile proximity fire detection option for the transportation industry. With a resistance to a variety of automotive fluids, solvents, and environmental elements, as well as a flexible design, Protectowire is an ideal choice for tight spaces and extended runs. The detector is both vibration and abrasion-resistant which allows it to be placed inside engine compartments. A long service life and easy annual testing means there is minimal downtime or disruptions. Our vast experience across a wide range of applications is why Protectowire is the preferred choice for smart transportation companies." "When it comes to the complexities and hazardous requirements of the mining and material processing industries, few companies can match Protectowire’s knowledge and experience. With our unique product line and decades of successful installations, Protectowire Linear Heat Detection is the smart choice for production intensive operations associated with these industries." "In rack protection and cold storage warehouses with sub-zero storage, temperatures are a few of the challenges found in the warehouse and storage industries. Protectowire Linear Heat Detectors offer innovative specialty products, single-source capabilities, and a total system solution to solve the fire detection challenges associated with this industry."